Countries Scramble for Internet Sovereignty as ICANN Shifts - Digits - WSJ: June 27, 2014 "... the issue is one of national sovereignty extending into the virtual realm. Representatives from Germany and other countries at [ICANN 50]... said countries must continue to have “Internet sovereignty” over their ccTLDs... but the question of ccTLD “sovereignty” is complicated. There are no international laws or treaties governing use of ccTLDs and some governments choose not to assert sovereignty over a suffix related to their name...“We should respect every country’s Internet sovereignty,” said China’s Minister of Cyberspace Affairs Lu Wei... Germany’s Mr. Dauke said that governments should also possibly be given a special role in the oversight of non-country-specific generic top level domains, or gTLDs... ICANN is currently overseeing a massive expansion in the number of of gTLDs from a small list including .com, .net, to more than 1,000 including .london and .berlin." Gordon Crovitz: Au Revoir to the Open Internet - WSJ: "Fadi Chehade, president of ICANN, added to the worry. He assured lawmakers that U.S. law would continue to apply to ICANN because it is a California-based institution. But he recently announced that ICANN is "now an official NGO in Switzerland."" Wells Fargo has downgraded VeriSign (VRSN -3.6%) to Market Perform. The firm is worried slowing domain name registration growth will pressure VeriSign's top and bottom lines. But remember Warren Buffett (Berkshire Hathaway) is a major Verisign shareholder and Buffett usually invests for the long term-- Tracking Warren Buffett's Berkshire Hathaway Portfolio - Q1 2014 Update - Berkshire Hathaway inc. (NYSE:BRK.B) | Seeking Alpha: "Verisign Inc. (VRSN): VRSN was purchased in Q4 2012 at prices between $34.15 and $49.48. The position was more than doubled in Q1 2013 to a 0.45% position at prices between $38 and $48. In Q2 2013, the stake was again increased by one-third at prices between $44.39 and $49.27. This quarter saw a ~6% increase at prices between $51.68 and $62.61. It currently trades at $48.26. The current position is at around 9% of the business." It appears everyone -- domain name registrants, nations (see e.g., France), businesses -- is just trying to ride out and see through all of the needless costs, chaos, and confusion imposed on the internet domain name space by ICANN with its new gTLDs domain names program. ICANN 50 Closes, France Calls ICANN "unfit for Internet Governance"
At the conclusion of the public meeting of the ICANN Board of Directors on Thursday, someone in the room noted there would not be wine at the Cocktail Party immediately following, but perhaps vinegar. The next meeting of ICANN, ICANN51, is scheduled for Los Angeles, 12-16 October 2014, followed thereafter by ICANN52, 8-12 February 2015, in Marrakesh, Morocco. @apisanty Pathetic. ICANN w $300 million budget & monopoly over DNS root equates itself with a volunteer entity w < 75k in the bank? Google presentation on New gTLDs -- Who Cares About New Domain Names? --streamed LIVE* from Google I/O in San Francisco: Wednesday, June 25 1:00 PM - 1:45 PM (Pacific Time US): "The first new generic top-level domains are coming online, from .photography to .みんな. Who cares, you say? We do. We’ll tell you how the explosion of new domain names means cool things for the future of the web. But it isn’t all sunshine and rainbows. New domain names also mean new challenges for all of us. In fact, they’re probably already breaking your products. Join us to find out what’s happening, get a glimpse at what’s coming, and learn what we all need to do now to prepare." *If you can't watch live, you can see YouTube recordings of all Google I/O sessions after the conference. France lashes out at internet naming body ICANN - FT.com: " . . . France has linked the issue [new gTLDs .wine and .vin] to the broader question of how ICANN is structured and governed. “The problem is it is totally opaque, there is no transparency at all in the process,” Axelle Lemaire, minister for digital affairs, told the Financial Times... Ms Lemaire also wrote this month to the ICANN board saying the domain name process threatened to “undermine confidence in your organisation”. The US agreed this year to give up its ultimate control of ICANN exercised through the commerce department, but Ms Lemaire made clear France wants to go further, seeking to rally support for a global conference on its overhaul. Paris wants it set up under international law with a redefined mission and overseen by a “general assembly” of stakeholders that would include governmental representation on a “one country, one vote” basis, Ms Lemaire said. In her letter to the ICANN board she wrote: “The lack of adequate redress mechanisms and, above all, the lack of accountability demonstrate the need for significant reform of ICANN even before the current debate on the global internet governance system comes to a conclusion.”..."
I have a feeling Ms. Lemaire et al are just getting started. Vive la France! Uncle Sugar isn't going to cover for a dysfunctional ICANN anymore, so it will be interesting to see how this plays out. And of course, Esther Dyson warned everyone about all of this in 2011, but no one listened. "How will new gTLDs impact​ small business? "What do small business owners consider when naming their website? 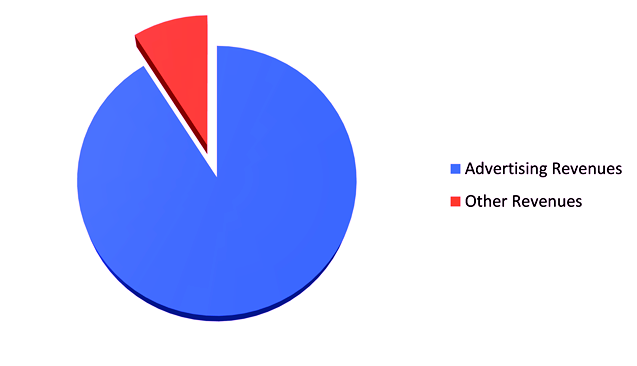 66% of SMB website owners prefer a descriptive, longer .com web address to a shorter new gTLD one"
No wonder they are giving new gTLD domain names away for free ($-0-)! 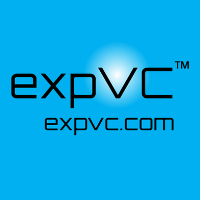 Free Domain Names For Everyone! .Berlin, .XYZ, and more coming! About the Program | ICANN New gTLDs: "The New generic Top-Level Domain Program was developed to increase competition and choice in the domain name space." 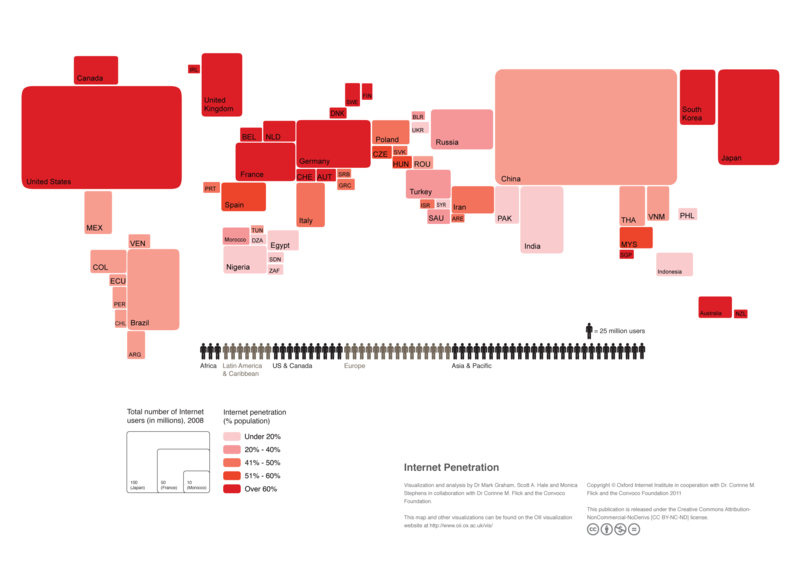 This visualisation illustrates the raw number of Internet users in each country as well as the percentage of the population with Internet access. This map uses 2008 statistics from the World Bank, which has tracked the number of Internet users per country and the number of Internet connections per 100 people since the 1990’s as part of its Worldwide Governance Indicators project. The data are visualised with a cartogram in which the size of each country is drawn based on its proportion of global Internet users. The shading of each country reflects its Internet penetration rate: darker shades indicate higher levels of Internet usage amongst the population. Countries with online populations of less than approximately 2 million have been removed from the map. We see that the map of the world’s online population presents an interesting picture of the locations of Internet users. China has the world’s largest total number of Internet users (there are currently over 400 million users in China) despite its relatively low penetration rate. The map also starkly illustrates the relatively small number of users in South America and Africa. The visualization causes South America to shrink to a size that is smaller than the United States, and Africa to skew unrecognizably on the map. We also see that there are very few countries in the Global South with high Internet penetration rates. This indicates future growth in the total number of Internet users will most likely come from areas that are currently underrepresented. Critical steps above include the 301 redirects and use of Google Webmaster tools! Amazon, Good or Bad for Your Online Business? Amazon's War Against Publishers Like Hachette - BI: "Some of Amazon's independent merchants believe that Amazon screws them out of their search rankings. When companies sell stuff through Amazon, their Amazon page rides high in search result listings. If the merchant decides to do business elsewhere, their old page cannot be deleted, the merchants say, and it sits there like an empty shelf, sucking up all the SEO that ought to go to the merchants' more current offerings." "The graphic uses 2013 social network statistics (not publicly available at the time of writing, as being updated) collected via the Google Display Planner tool by Information is beautiful, who have also published a visualisation (using 2012 data) of the gender balance in social networks. 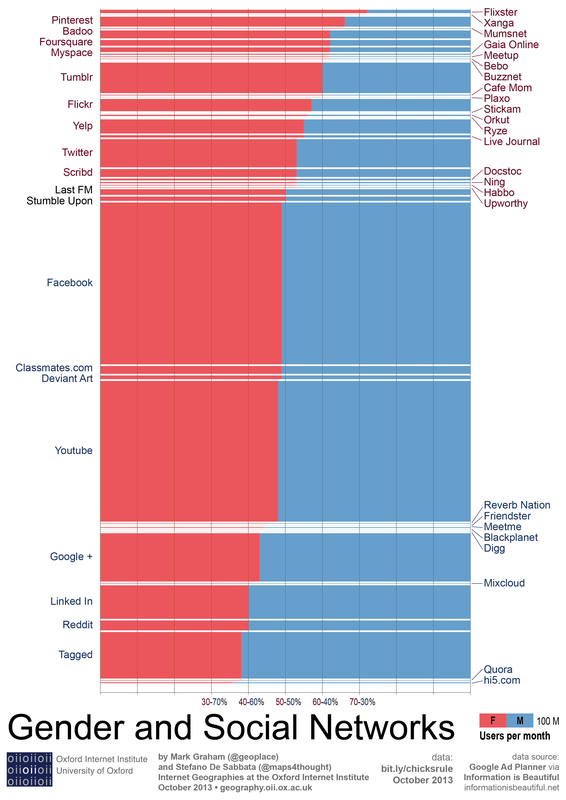 "Each bar represents a social network, divided in two sections: a red one on the left, representing the proportion of female-registered users in the social network, and a blue one on the right, representing the proportion of male-registered users. 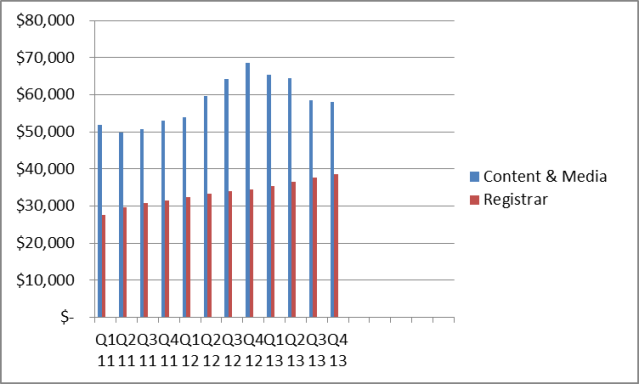 The width of the bars is used to convey the total number of registered accounts. "This more-or-less equal gender balance can be seen in the two largest social platforms, Facebook and YouTube, whose gender ratios are very close to the ratio in the general population (however, both do see slightly more male than female users). "The third largest social platform, Google+, in contrast, has a higher proportion of males, with only 43% of its user-base being female.Twitter, in contrast, has a slightly higher female participation rate, with women accounting for 53% of its users. "It is interesting to note that, despite the fact that we see a slightly higher overall male participation rate, we actually see a greater number of platforms that have a higher ratio of women to men. For instance, both Flickr and Tumblr have a ratio of over 55% female users. A similar ratio can be observed in the Google-owned social network Orkut, which is popular in Brazil and India. Meetup, which is one of the largest networks to facilitate group meetings, also has a predominantly female population, with only 38% male users. Foursquareand Myspace both have fewer than 40% male users, and the movie discovery website Flixster, has more than 70% female users. "On the other end of the chart, the largest professional social network LinkedIn has only 40% of its accounts owned by female users. The social news and entertainment website Reddit has a similar balance. The population of the social discovery website Tagged is also highly skewed towards male users, as males account for over 60% of the user base. Finally, the social networking and gaming platformHi5 registers a mere 36% female users. "On the whole (and with exceptions) we see that social, local, artistic, and parental-oriented websites tend to have a higher ratio of female users, and professional and games-oriented sites have a higher ratio of male users. "As the Internet becomes available to billions of new people in the next few years, it will be important to keep a focus on how these statistics evolve. Will we start to see more gendered silos of use or more balanced platforms of participation?" Google provides services, including search, upon which it can place advertising. For that reason, most Google services are free to the user. The monetization model for most Google services therefore is based upon advertising revenues. Search Myth Busted: "Consumers aren't just searching via Google. In fact, YouTube is the second largest search engine. Meanwhile, Twitter gets about 32 billion search queries per month, which is more than Bing and Yahoo combined." "Where to start? The central issue and problem at ICANN is how the public interest is so disregarded. Time, and time again, we see examples of this. ICANN's multistakeholder model only contributes to this -- see: http://www.domainmondo.com/2014/05/the-real-problem-with-icann.html . What can ICANN begin to do better? Increase representation of 1) domain name registrants and 2) internet users (often referred to as "consumers") within ICANN, and diminish the presence and voices of those with profit-motives at stake in ICANN decisions, workings and outcomes. "Tim Berners-Lee: "....when a decision is taken about a possible new top-level domain, ICANN's job is to work out, in a transparent and accountable manner, whether it is really in the best interest of the world as a whole, not just of those launching the new domain. It also means that ICANN's use of the funds should be spent in a beneficent way..."...."
What are your thoughts on this? Feel free to leave comments below. 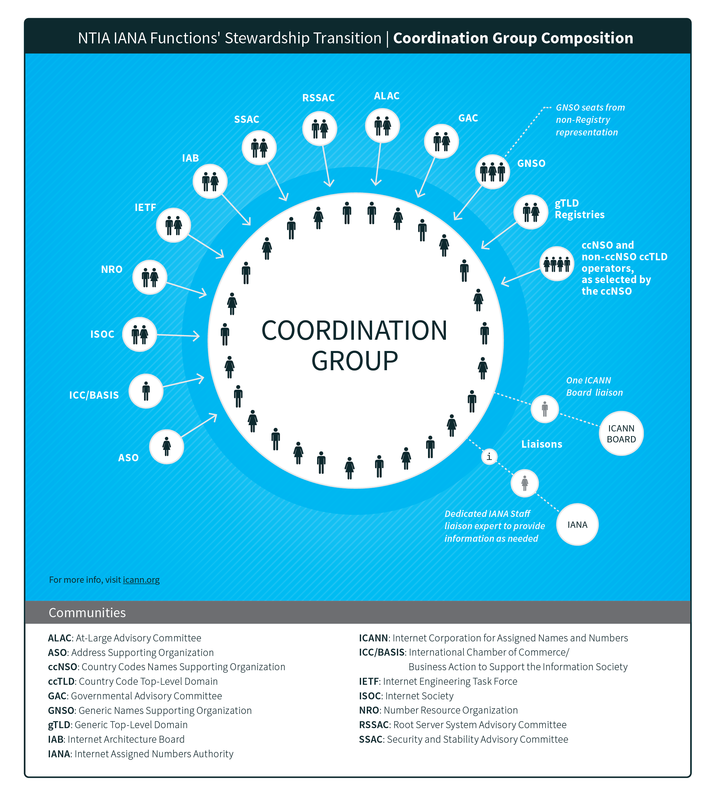 To ensure full transparency, the (IANA Transition) Coordination Group will hold open meetings accessible to all global stakeholders; relevant transcripts and recordings will be posted on the website. 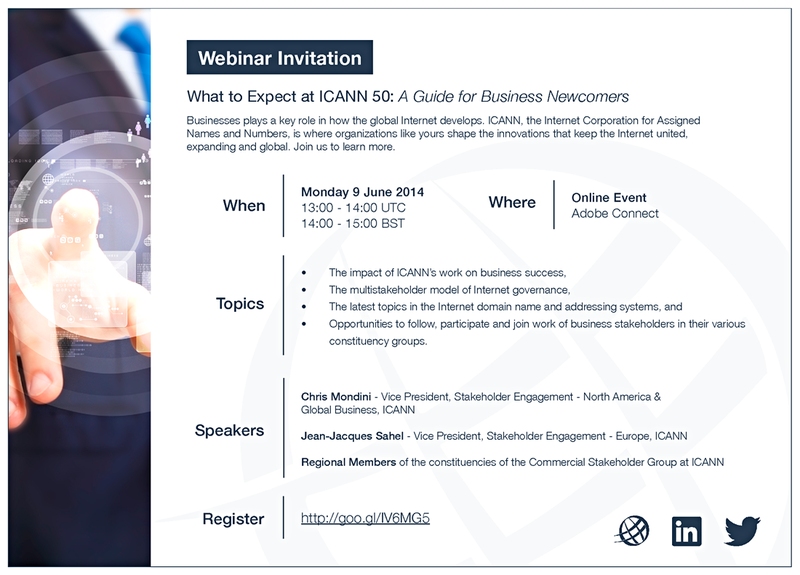 "Join ICANN Vice Presidents Jean-Jacques Sahel and Christopher Mondini for a pre-ICANN 50 webinar for business participants. "This webinar is meant as an introduction to ICANN and the GNSO Commercial Stakeholder Group, for people in the private sector who are new to the ICANN Community and interested in the upcoming ICANN 50 public meeting in London. Tony Holmes – ICANN ISPs and Connectivity Providers Constituency"
Gross National Income (GNI) (PPP) Per Capita in 2007 based on World Bank estimates. As previously reported, according to data provided via the Oxford Internet Institute, University of Oxford, England (UK) -- see: Domain Mondo | domainmondo.com: Domain Name Registrations and the Global Internet Population -- 78% of all TLD (gTLDs + ccTLDs) domain name registrations in the world are in Europe and North America. Fewer TLD domain names are registered in China than the UK even though China's internet user population is 10 times that of the UK. A nation’s ranked position by GNI per capita explains about 50% of the variance in its ranking by number of domain names per Internet user, followed by level of internet censorship. List of countries by GNI (PPP) per capita - Wikipedia: "a list of countries of the world sorted by their Gross National Income (GNI) per capita at purchasing power parity (PPP)." List of countries by GNI (nominal, Atlas method) per capita - Wikipedia: "a list of countries by Gross National Income per capita in 2012 at nominal values, according to the Atlas Method, an indicator of income developed by the World Bank." Enhancing ICANN Accountability - ICANN: "Update: The discussions around enhancing ICANN Accountability are very important. Community feedback has noted the desire for a longer comment period for this proposed process. In response to ensuring the community has sufficient time, while also having the process in parallel to, and informing, the process to Transition NTIA's Stewardship of the IANA Functions, there is a one (1) week extension of the comment period to 6 June. Community members are urged to continue identifying members for the Working Group, with those selected by the ICANN London meeting to hold a listening session with the community. The reply period will close on 27 June at 23:59 UTC. Comment Period: 6 May 2014 - 6 Jun 2014 23:59 UTC | Reply Period: 7 Jun 2014 - 27 Jun 2014 23:59 UTC"
New gTLD domain names are failing to impress, "many, many will fail"
"“The introduction of new TLDs is likely to increase the value of the gold-standard ‘dot com.’ Adding more side streets only increases the value of a main-street address.” –Karl Ulrich, Wharton’s vice dean of innovation and professor of operations and information management.